In Iceland’s central highlands the landscapes are often bare, with little more than rocks, snow and distant mountains. Small alpine flowering plants that manage to survive in these harsh surroundings offer a tiny splash of color. It is an area where few people live and that, for most of the year, is closed to vehicles because it would be impossible for them to get through. Yet, even here, at least during the summer, tourists are trekking by the side of the dirt road, spending their days putting one foot in front of the other and their nights sleeping in tiny one-person tents. Everything they need must be carried on their backs. The fact that people are prepared to endure such hardships – crossing the country might take three weeks or more – reflects the allure that the land of fire and ice has long held for travelers. 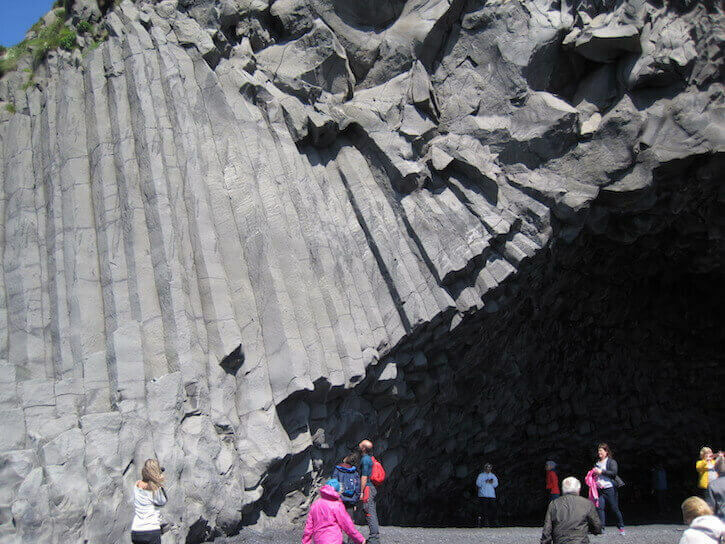 Fortunately, visitors to Iceland do not need to be as adventurous as those who are prepared to brave a trek through the highlands: the country has a well-developed tourist infrastructure, including town-centre campsites and a comprehensive public-transport network, albeit one heavily restricted to the summer. For those with a love of the outdoors – and fairly deep pockets, for this can be a very expensive place – it offers great rewards. Most visitors arrive in the capital, Reykjavík, a pleasantly small and walkable city that is known for its weekend nightlife. A wander through the quiet streets around the main thoroughfare throws up many traditional 18th-century houses constructed from driftwood. Those short on time can use Reykjavík as a base from which to see many of the country’s tourist highlights on day trips. Among the places not to miss is the mighty Gullfoss waterfall, which creates rainbows when the sun is shining, and, not far away, the amazing Geysir geothermal area. This includes Strokkur, a geyser that sends a jet of hot water tens of meters into the air every few minutes, often soaking the crowds gathered to watch. Easily visited the same day is the remarkable Thingvellir, a national park that was the site of a parliament created as far back as the year 930. Immensely important for Iceland’s very strong sense of national identity, Thingvellir sits in a mighty rift valley between the European and North American tectonic plates. 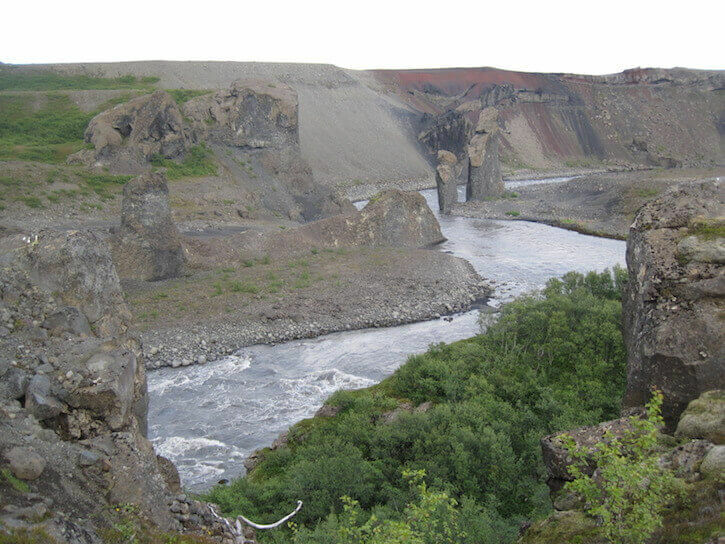 These three sites, which lie inland to north-east of the capital, can be seen together on one of the “golden circle” day trips that numerous tourist companies offer from Reykjavík. The south coast offers tourist delights that can be conveniently seen on a day trip too: black beaches, dramatic coastal rock formations, stunning waterfalls and cliff-nesting birds, including puffins. Further natural delights are on offer further east, especially at Skaftafell, which lies at the southern end of the country’s largest ice sheet, Vatnajökull. 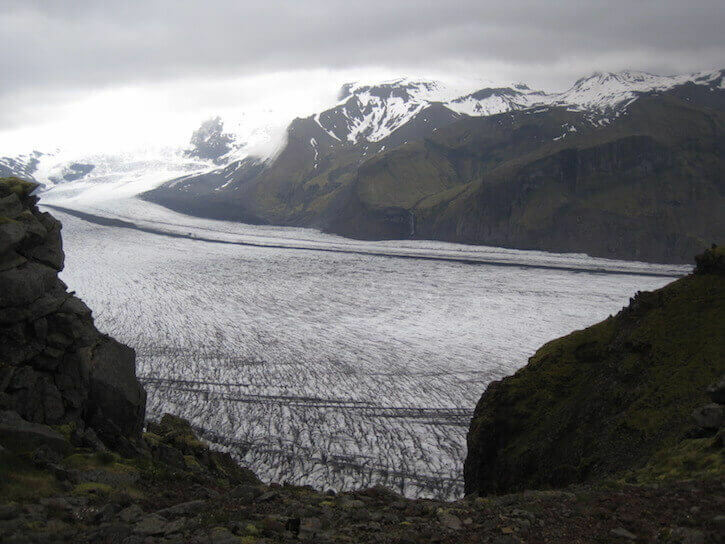 At Skaftafell, visitors can go for short guided glacier walks, wearing crampons on their boots to help them grip the ice and dodge bright-blue crevasses. It is a unique and not-to-be-missed experience and one that in a tour group is extremely safe, even for children. 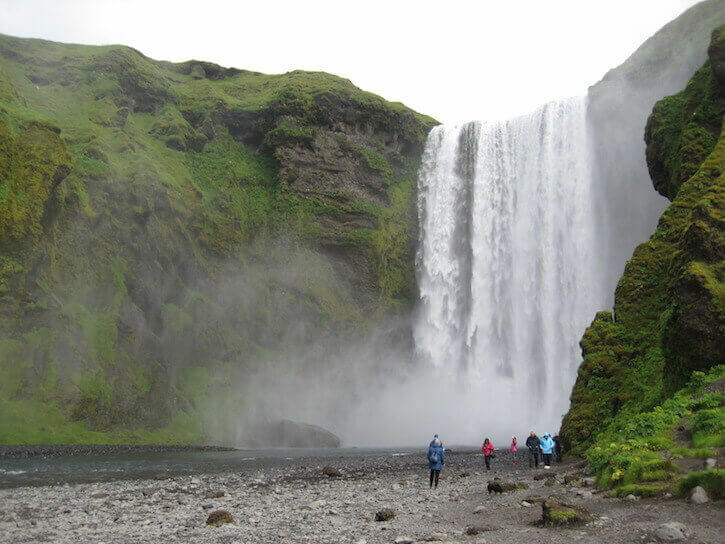 Skaftafell is also a base for terrific day walks, such as a demanding 18km circular hike up to the 1,126-metre summit of Kristínartindar. 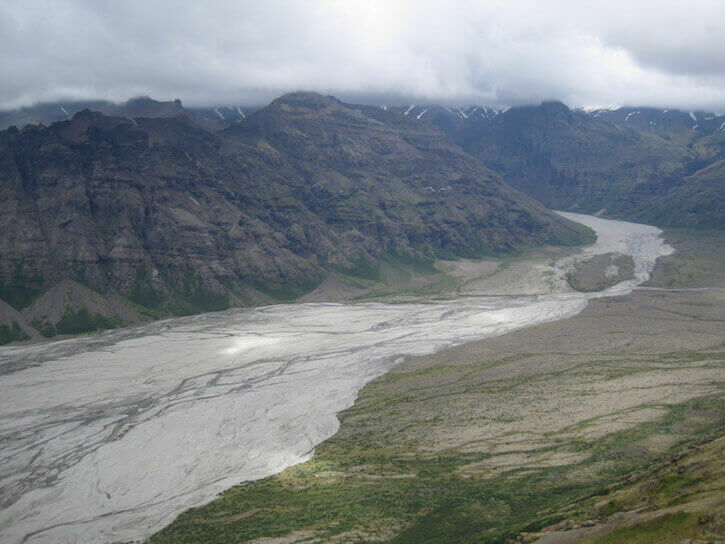 Much of this walk offers a grandstand view of the Skaftafellsjökull glacier, while on the other side lies a breathtaking valley in which volcanic rubble has been deposited. 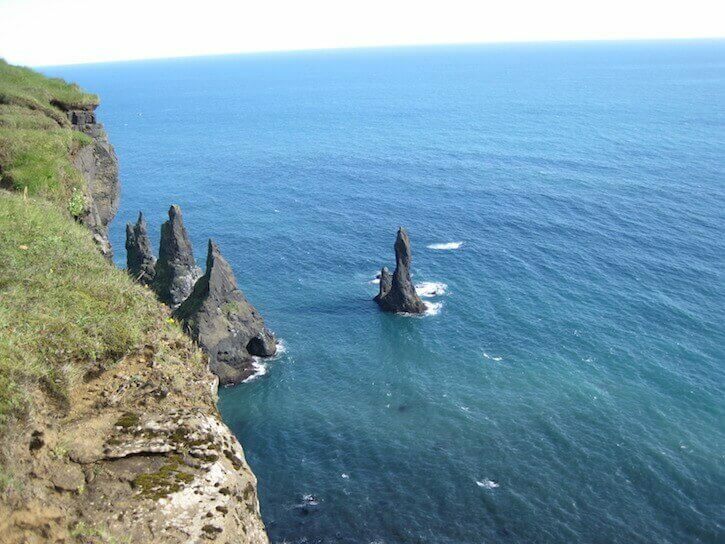 Like so many sights in Iceland, it resembles a scene from a calendar of photos of the world’s great wildernesses. 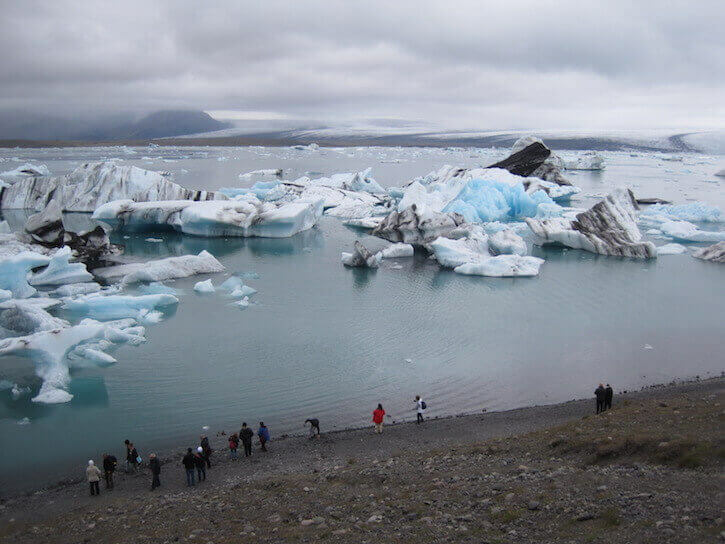 A little further up the coast lies the Jökulsárlón lagoon, where icebergs, ranging in color from pure white to blue, float after breaking off from a glacier. It makes for a surreal scene. Marvelous though these southern attractions are, anyone with enough time is well advised to venture into Iceland’s highlands. 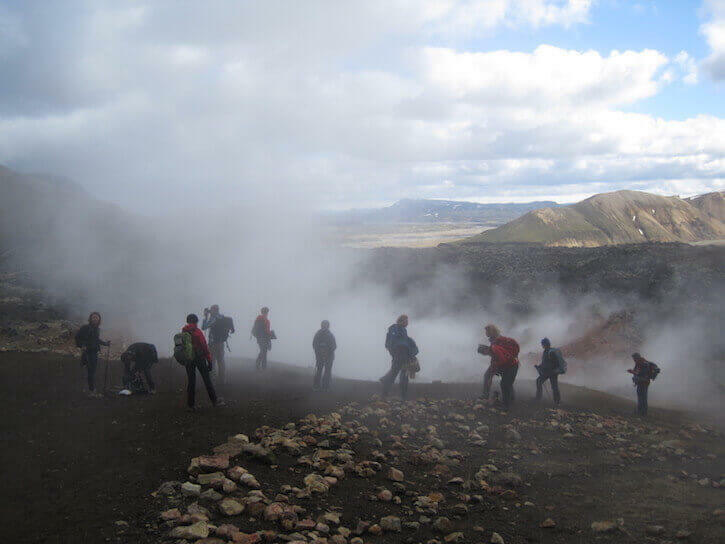 Heading back west along the coast, and then north, leads to Landmannalaugar, a starting point for multi-day treks but also a great base from which to explore the neighboring mountains on single-day hikes. The vast flows of lava – partly covered in moss – attest to the active volcanic history of this area, which also manifests itself in the stunning array of colors of the nearby mountains: orange, black, brown – even green. There are also countless steaming geothermal pools to further indicate that here Mother Nature is particularly restless. 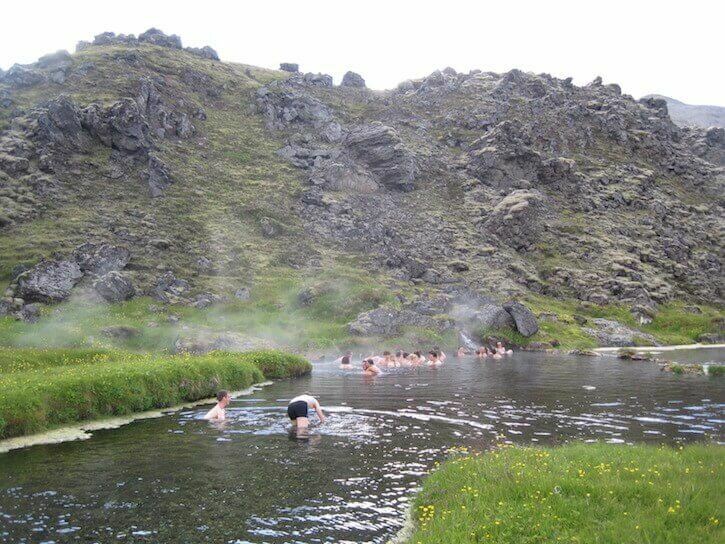 At the end of a hard day’s walking, visitors can relax in a natural geothermal pool that lies a short walk from Landmannalaugar’s campsite and travelers’ hut. 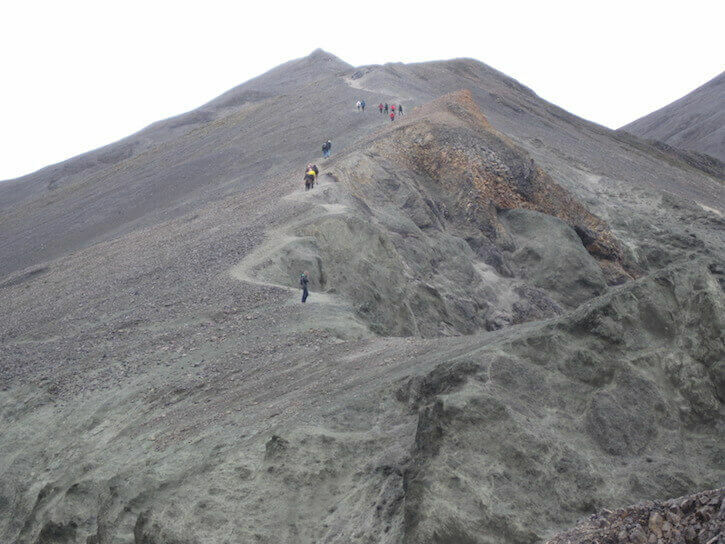 Many visitors come to Landmannalaugar to begin a four-day hike to a picturesque valley called Thórsmörk. 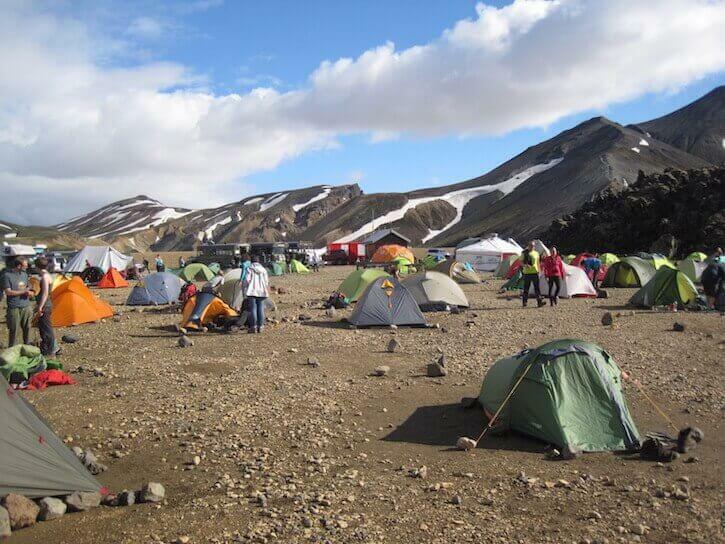 Those not keen on a multi-day hike can instead walk the first leg of the trek as a return trip in a one day. Tough but rewarding, it passes through snow fields and past geothermal pools, with a backdrop of mountains that either catch the eye with their vibrant colors or else reflect the sunshine thanks to their dazzling snow. Traveling north through the highlands by coach is another highlight of a trip to Iceland. 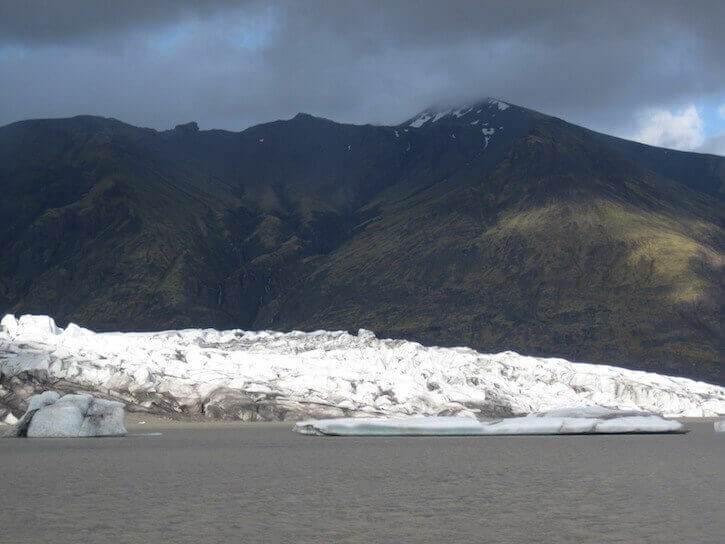 On the day-long coach journey from Landmannalaugar – the vehicles are modified to cope with the rugged roads – the sheer unending bleak beauty of Iceland’s highlands shows itself: dark mountains, braided glacial rivers, and gravelly flat areas. Those who walk through here must have the experience of a lifetime. On the one hand, the landscape is unchanging and perhaps monotonous to those on foot. On the other, it offers an opportunity to escape from civilization and become absorbed into a wilderness. 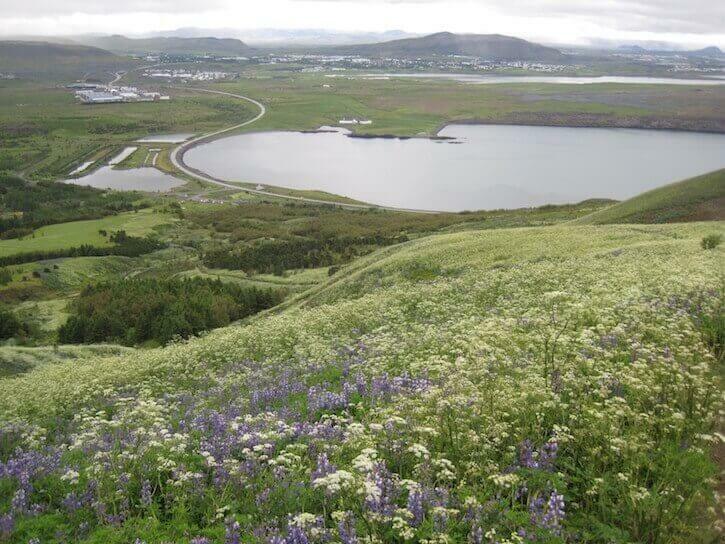 After traveling through the highlands, Iceland’s north feels lush and almost welcoming. 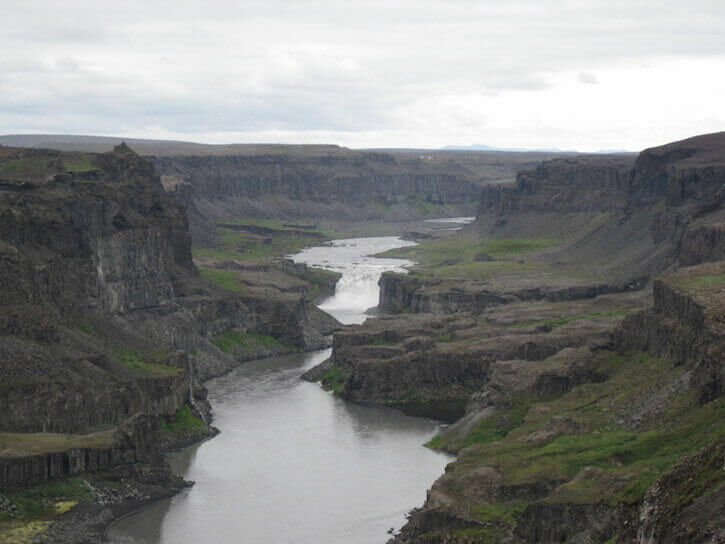 The north east of Iceland is the site of one of the country’s less-demanding multi-day treks, a two-day walk along a river valley from the waterfall of Dettifoss to the spectacular U-shaped canyon of Ásbyrgi. 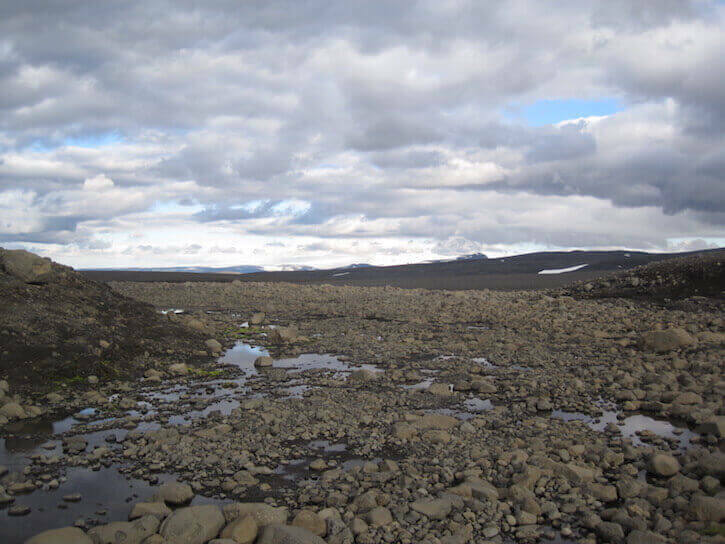 At Dettifoss the dramatic cliffs have only sparse vegetation, and the call of the golden plover – a bird often seen in Iceland in summer – provides a plaintive aural backdrop. 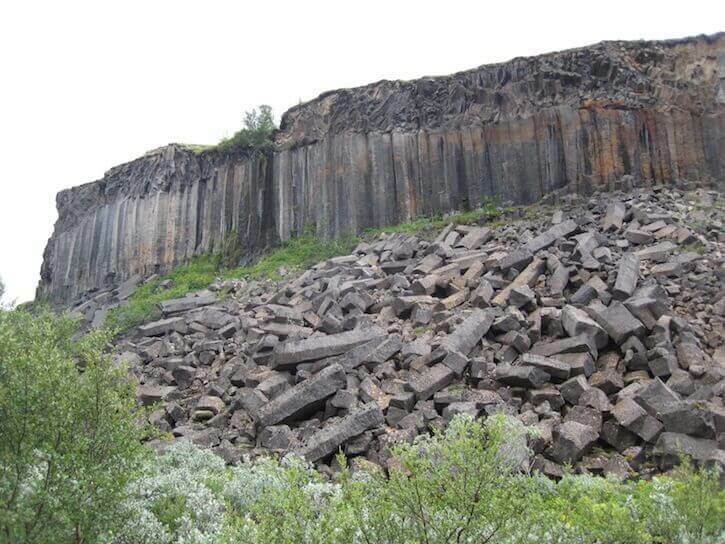 Late in the first day, the plant life becomes richer and the rock formations, including rows of hexagonal pillars and columnar scree, become increasingly offbeat. 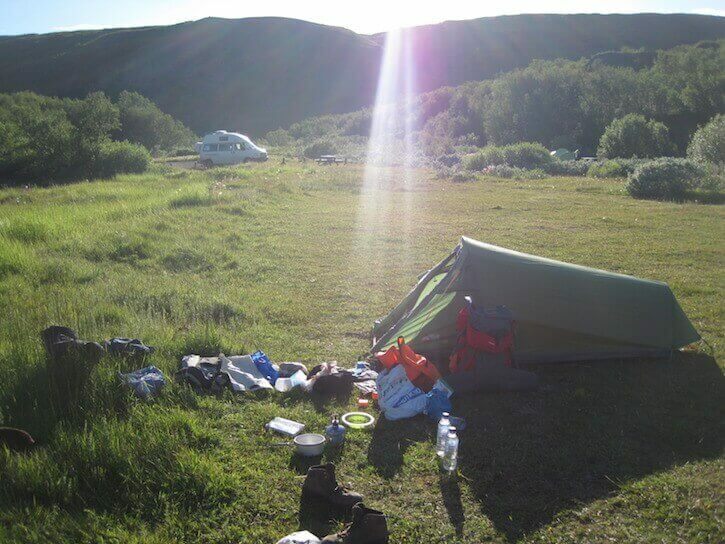 The midpoint at Vesturdalur has a beautiful campsite, where the evening sun gradually sinks behind a cliff. The sun’s disappearance heralds a drop in temperature but, this being summer, the light remains throughout the night. 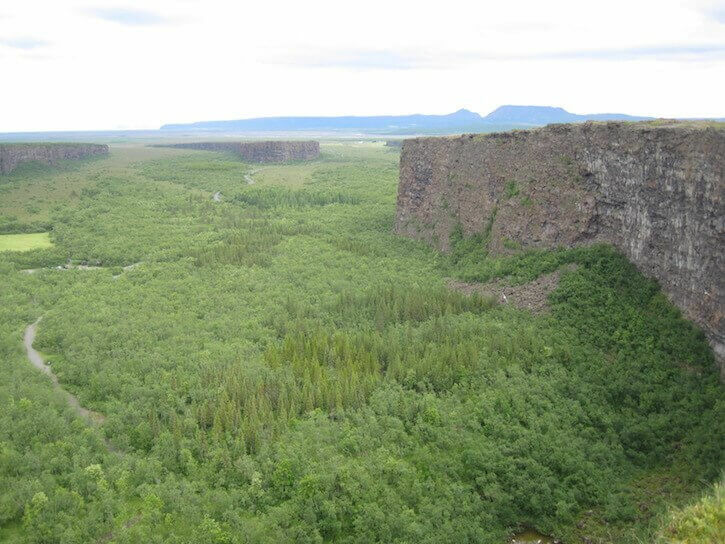 In the second and final day, the trail crosses low birch woods until the truly stunning moment when Ásbyrgi comes into view below. 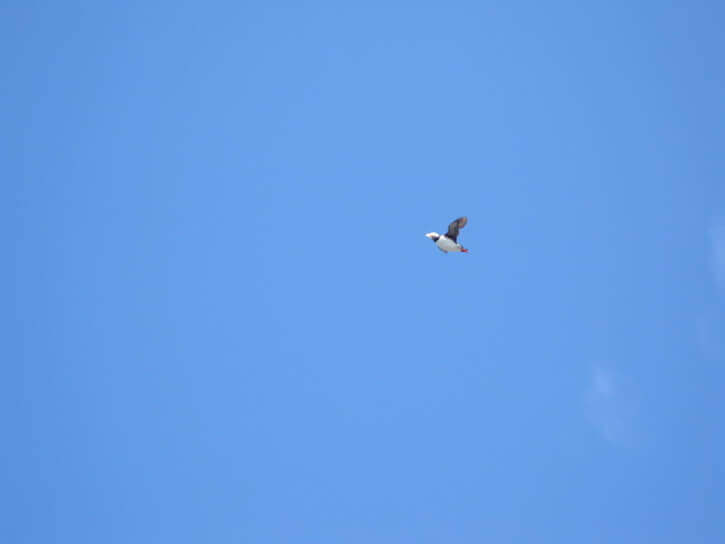 With a width of 1km and a length of 3.5km, it boasts birch and coniferous forests, cliff-nesting gulls and a warm microclimate. It is a truly amazing place at which to rest weary legs before heading back to Reykjavík for the flight home.